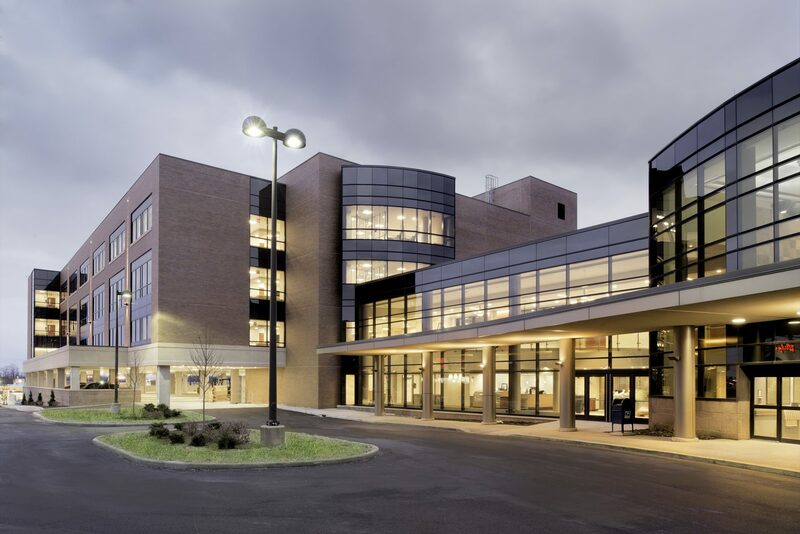 Salem Community Hospital in Salem, Ohio recently broke ground on a major new addition project, designed by Wilmot Sanz. This exciting project consists of a three story patient tower resting atop a two level parking deck. View the Salem News Article. To provide an inviting environment that encourages healing and family involvement in the care process, all 87 medical/surgical and ICU beds in the new tower will be in private patient rooms. The parking garage will have space to accommodate 115 cars. Other project elements include various support spaces, as well as a two story atrium concourse connecting to the existing main entrance lobby and providing convenient access to the gift shop, café, and dining area. The new tower is scheduled to open in early 2014.